We have had ours for a few years now. It is still comfoy but there are some low spots from sleeping often in certain areas. I've had this mattress for a few years and it's still as comfortable as when I first bought it. I always get a good night's sleep and would definitely recommend. I love my sealy ! Bought this mattress and have never slept so good in my life. I wake up feeling well rested and ready to start the day. 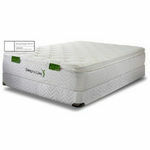 This mattress is the softest most comfortable durable product ever. 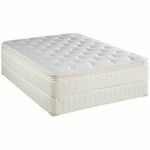 I have fibromyalgia and restless leg syndrome so it is important to have a great mattress that provides comfort and durability. I have owned mine for 2 years now and it still feels as good as it did the first night I slept in it . The pillowtop gives me the extra softness I need and want. 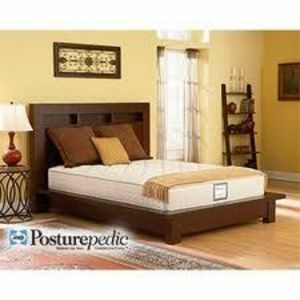 I highly recommend this mattress ! 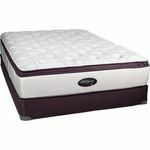 I love this bed for it really helps with my back problems as I am working at a high demanding job that requires lifting constantly and getting a good night sleep helps with my outlook on life and my mood. Plus my back feels like I slept like a baby. I would buy this mattress again! I have this as my primary bed and I love it! It's so comfortable and I like that I don't wake up hurting all over because it gives me support where I need it. 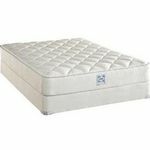 The softness of the pillow top is like sleeping on a cloud! I liked this bed at first, but it broke down quickly and developed a cavity in the middle. Would be great as a guest bed. I thought we were getting a good mattress and at first it was comfortable, soft but not to soft just perfect them about 7 months later it started dragging us to the middle of the mattress and causing us to sleep basically on top of each other it would probably be alright for a single person but two and that happens had 4 other couples say the same thing happened with theres this is not a mattress for a couple at all.